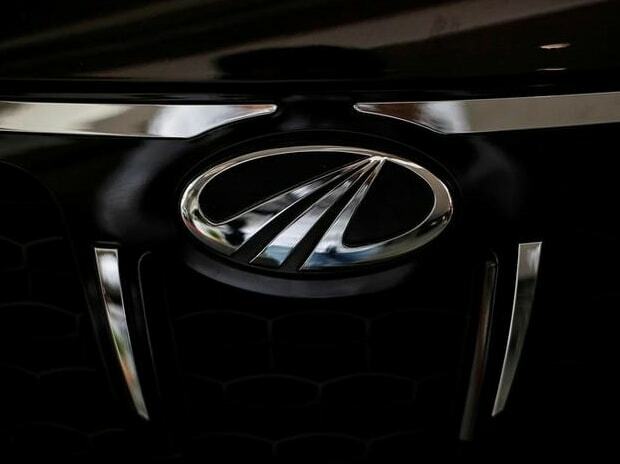 Mahindra and Mahindra (M&M), the traditional leader in utility vehicles (UVs), has accepted the changed market dynamics of this fastest-growing segment of the domestic passenger vehicle market, which has drawn newer players. The company said it will be impossible to get back its old market share of over 40 per cent and it will be content to maintain share in low 30s. The company has been overtaken by Maruti Suzuki in UV volumes this year. The Suzuki-backed company has climbed to numero uno position with the help of Brezza, an SUV launched in March 2016. Maruti sold 160,700 units since the launch and is yet to make deliveries of 54,000 units, translating into waiting period of four months. 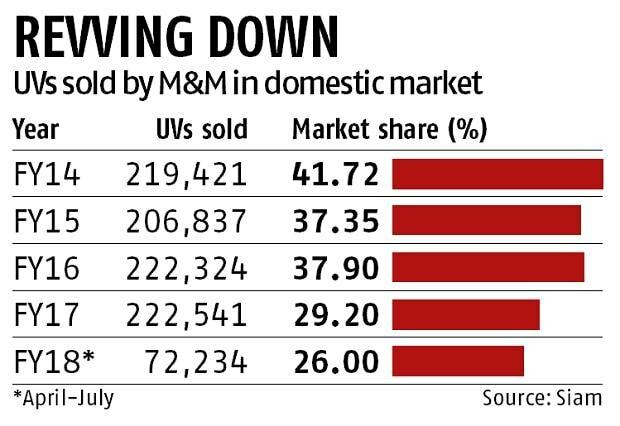 M&M saw its market share shrink to 29.2 per cent in FY17 from 37.9 per cent in the previous year. Maruti’s share grew from 16 per cent to 25 per cent in the same period. “We have lost the market share primarily because the universe of UVs is expanding very rapidly and also because there are many, many more competitors than there were three to four years ago. We are clearly working on getting some of the market share back. We have said it very clearly that to get to that old kind of market share is out of question,” Pawan Goenka, managing director, told investors in a recent call. Maruti’s Brezza is currently the most sold UV (with monthly average of 10,000 units) in the domestic market, followed by Hyundai’s Creta (8,000 units). Even the third slot in some months is occupied by Maruti’s Ertiga. M&M’s Bolero figures in the third spot on and off. Goenka said the companies that were earlier launching hatchbacks and sedan cars are now focusing on launching UVs and therefore the segment has expanded at a rapid pace. “Most of the UVs that we are classifying as UVs now are really cross-overs and many of them are very close to being a passenger car,” he said. “Demand for your company’s products from urban markets was also under pressure due to continued shift in customer preference,” M&M noted in its FY17 annual report. The domestic UV market expanded by a staggering 30 per cent in FY17, against a four per cent growth in cars and about two per cent growth in vans. Cars still make the bulk of passenger vehicle market (cars, UVs and vans) but their share is coming down steadily. 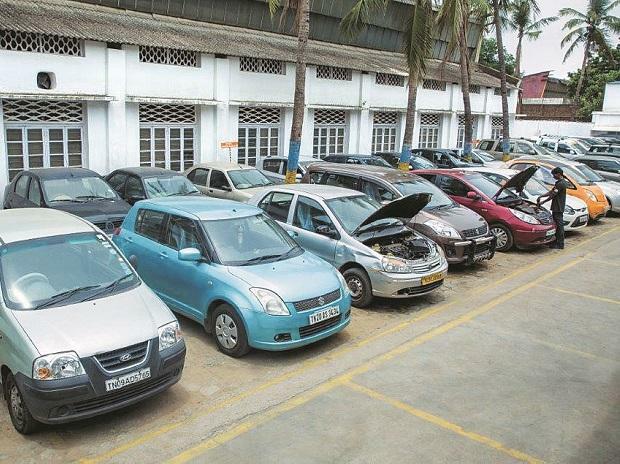 Cars formed 69 per cent of the passenger vehicle market last year against 72.6 per cent in FY16. UVs grew to 25 per cent from 21 per cent in FY16. The growth of UVs is not due to older larger SUVs that were seen as fuel guzzlers. The expansion of this segment due to the entry of several compact SUVs like Brezza and Creta among others.